After logging in, search for S3 and click on the result as shown in the below image to open your Amazon S3 console. 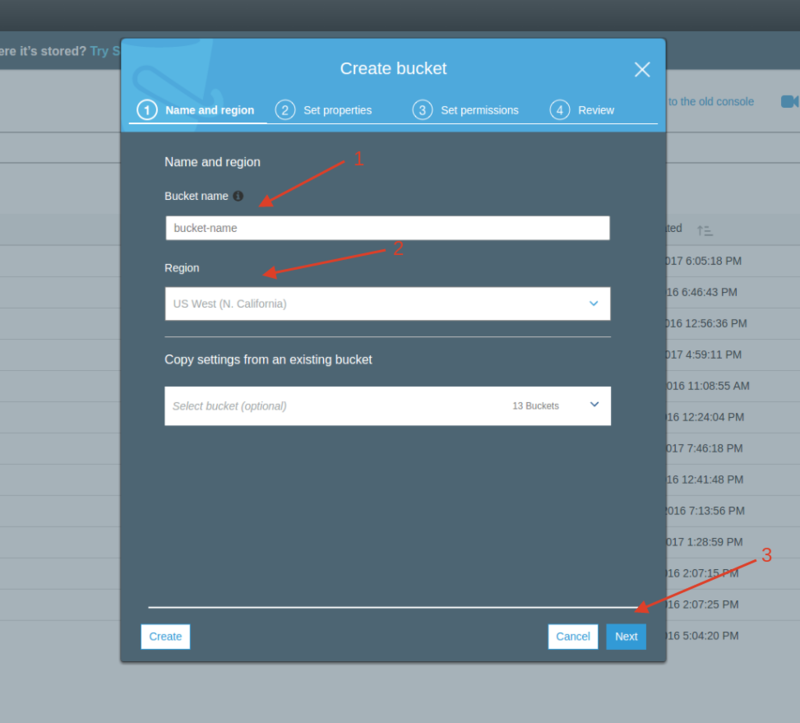 Click Create Bucket button to create a new bucket. Enter a Bucket name, select a Region and click Next. 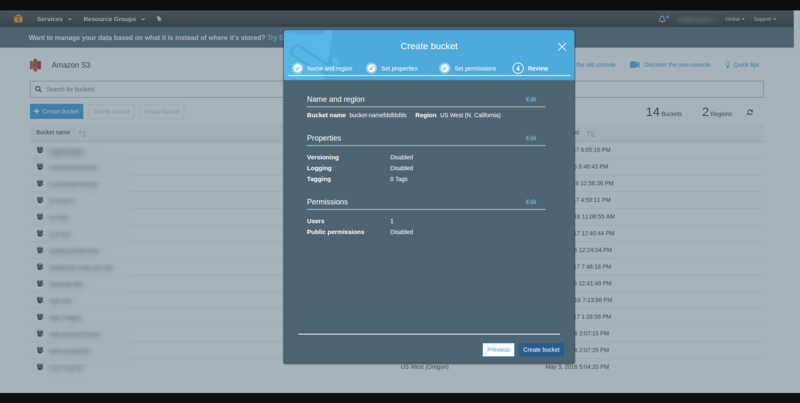 Here click the Create Bucket button. And your S3 bucket is created now. Click on your username which you can find it on the top right corner of your page. 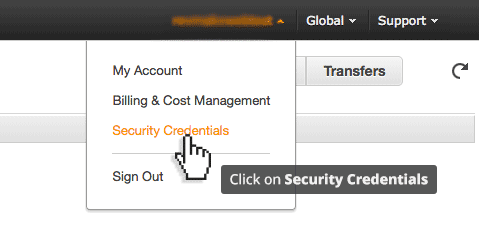 Click on Security Credentials in the drop-down. Click Users from your left menu. You can create a new user or use an existing one. To create a new user click on the Add User button. 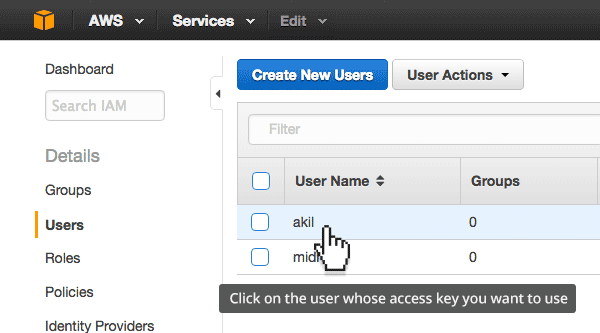 Enter your Username and choose the access types as Programmatic Access. Click Next: Permissions button. A new tab will be opened for creating the policy. Add the below JSON and save the policy as "infinitewp"
Note: Make sure you replace "YOUR-BUCKET-NAME" with your bucket name in the above policy. 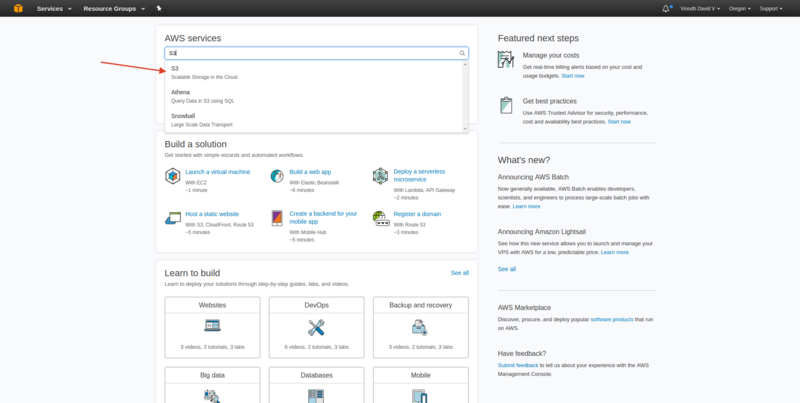 Once you build the policy, close the current tab and go to the tab where you have been creating the new user. Here click the refresh icon and choose the policy. Click Next: Review and Create User. Now you can find the Access Key ID and Secret Access Key. If you want to use the existing user, click on the user whose access key you want to use. Click Add permissions and choose the policy which we created earlier. If you haven't created the policy yet, Go to step number six and follow the instructions to add the permission. Now, click on the security credentials tab to view your Access Key ID and Secret Access Key.